"The Certain Sound — Thirty Years Of Motor Racing" by John Wyer. 260 pp. 10½" x 8½" (Patrick Stephens Ltd., Bar Hill, Cambridge, CB3 8EL. £17.50). 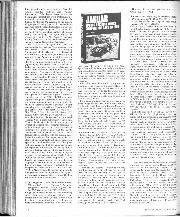 If Andrew Whyte had much "inside" information at his disposal when writing his history of SS and Jaguar cars in racing and other competition events, to the great benefit of those books, what can I say about this Autobiography, Predominantly of Aston Martin, Ford, and Porsche, except that John Wyer was the man personally responsible for the racing he writes about so compellingly, either as Team Manager or Executive-in-Charge? The result is quite enthralling and if I shorten this review, it will be only because I want to go back and read his book again! This Edits work, sold here by PSL, has some fine photographs, about 170 all told, but it is the blow-by-blow, personal story of Wyer's involvement with motor-racing, seen from a front-row, decidedly active seat, as it were, that makes his book irresistible. After briefly sketching-in his days as an apprentice at Sunbeam's, he goes into always-fascinating detail about working with David Brown's Aston Martin team. Henry Ford's GT40s (including, in this case, the politics) and the Gulf Oil-sponsored Mirage GT40s and Gulf-Porsches. So the book runs mainly from the advent of the DB2 to 1971, when Wyer retired. He has divided his enthralling story into three sections, Aston Martin, Ford and Gulf, covering 19 chapters, with the tale running consecutively, except that the Mille Miglia race gets chapters to itself. 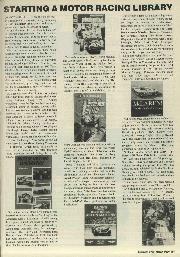 One sees the great sports / racing-car drivers, from Moss and lckx downwards, through the eyes of the astute man who employed them, reads about the true happenings at times of success and failure, drama and play, in the days before racing took on a more intense, less light-hearted, atmosphere. Great days, great racing! Wyer, outwardly dour, is honest with himself, and he had more fun than those who saw him as a person to be feared might have imagined. 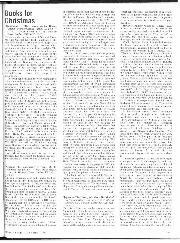 The details of getting cars to the circuits and back, what really occurred in the races, the personnel, the long flights in David Brown's personal Dove aeroplane, the Wyer philosophy and policies in long-distance racing, etc., all come over in this welcome return to the racing of three important, but now-distant, decades. Wyer is, I thought, surprisingly gentle in places, with just possibly the law of libel in mind, but one can read between the lines — of his impatience with the slow development work at Aston's, of Prof. Eberan-Eberhorst and his insistence on inboard rear brakes which overheated the back-axles with dire results (I had long wondered why David Brown's renowned gear-cutting firm could not make the axle gears, which were Salisbury axles in this case, anyway, stand up to racing), of his opinion of Fairman's wrecking of a team-car on the way to Le Mans, what he felt when a careless mechanic set fire to an Aston Martin and most of the pits at Goodwood, and so on . . . A few errors, e.g. "Gods" for gods, and "Aston Marton', have crept in but do not spoil the story. This book is essential reading for those who liked the old sports-car races, and one could say that it is rather hard luck for journalist Whyte that racing-manager Wyer has entered the same field. The nice thing is that there are these two excellent books for motor racing folk to enjoy. — W.B. "Jaguar Sports Racing & Works Competition Cars To 1953" by Andrew Whyte. 415 pp. 103/4" x 8½" (Haynes Publishing Group Ltd., Sparkford, Yeovil, Somerset, BA22 7JJ. £19.95). A companion volume to the already-published "Jaguar Sports Cars" and "Jaguar Saloon Cars" by Paul Skilleter and Andrew Whyte's great history of the famous Coventry Company and its products from the Swallow sidecar and specialist bodywork days to the present, this is a magnificent record of Jaguars in competition. It will be concluded by a further Whyte volume, taking the story on from 1954 to the last competition appearances of the Jaguar, which British Leyland is now making such efforts to fully re-establish with its own entity, quality and reduced fuel thirst. By purchasing all five books those who favour Sir Wiliam Lyons' make will have their enthusiasm titillated by very complete historical and technical coverage. 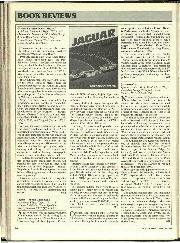 Because Andrew Whyte spent most of his working life at "The Jaguar", apart from a spell as "Verglas III" with Motoring News, until retiring to become a freelance writer, his book is written not only from the heart — never did the Company and Sir William have a stauncher Jaguar advocate, who when he was a bachelor was happy to spend all his time discussing these cars and motor racing in general — but from first-hand knowledge of what he is setting down. This has ensured plenty of that pithy detail which I look for in such histories and which marks them out from dull works compiled without such "inside" information. This Jaguar book covers the beginnings of competition work, motorcycles not excluded, and then details the activities of the SS100, on through the XK120, to the exciting C-type sports racing Jaguars. So detailed is his reportage that the individual history of every one of the 54 C-types is given. The author has provided twelve enthralling chapters, alternating racing with rallying, and quite rightly the Foreword is by F. R. W. ("Lofty") England, writing from Austria about the time when he was Jaguar's talented Competition Manager. 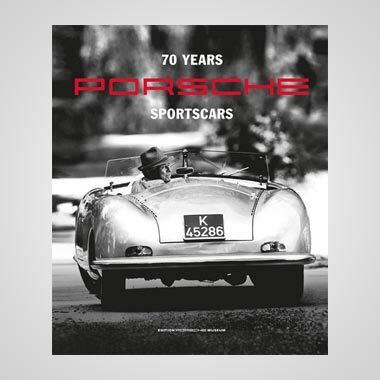 Nor is that all, for apart from some 450 photographs, there are five Appendices, covering the 1943-1953 "works" drivers, the racing by "privateers" of SS, XK and C-type Jaguars all over the World, an exceedingly interesting, long account by Ian Appleyard about his successful 1947 / 48 Alpine Trials with an SS-Jaguar 100, Bob Berry on race-preparation (I can still see his Jaguar flying backwards over the Goodwood hedge and vanishing into the far distance) and Michael Head on racing in Scandinavia, some contemporary Press reports of Jaguars in racing (but omitting my report for MOTOR SPORT of that very wet Dundrod TT won by Stirling Moss, which earned me a generous letter of praise from Sir William himself), and individual histories by chassis number of those 54 C-types, with plenty of pictorial coverage of them. There is also the index. The book is nicely produced on large, art-paper pages, so the lone advertisement for Haynes' other Jaguar titles seems out of place. 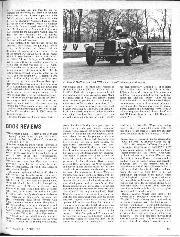 Andrew has virtually ignored MOTOR SPORT's frequent Jaguar coverage, so it remains for me to include an amusing episode of which I am reminded by the book's splendid picture of the elite of British motoring writers embarking at Heathrow in 1949 in a Sabena DC3 for the flight to Jabbeke to see Ron ("Soapy") Sutton drive an XK 120 at over 132 m.p.h. Whyte says the party arrived late — in fact, the driver lost this day and I seem to recall Tommy Wisdom being put up front to direct him. Then at lunch, after the timed runs, a party of French or Belgium trade delegates persuaded us to join their group as a congratulatory move, so departure was much delayed, and the tea the Stewardess had prepared well stewed. 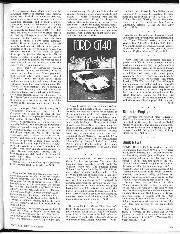 Then, landing late in London, with the evening-paper journalists anxious to find telephones and file their stories of this remarkably fast British production sports-car, who should be at the head of the queue without a passport, which his paper had thought too expensive an investment for one day abroad, causing a further hold-up? If you can't guess, I won't tell you! This, I think, sets the atmosphere of many of the episodes about which Andrew Whyte has written, nicely emphasised by the book's end-papers, those at the front depicting Appleyard's SS100 in action, those at the back a line-up of C-types (on Trade plates!) at the formal reception in Coventry's Civic Centre after their 1953 Le Mans victory. The colour picture on the dust-jacket is Terence Cuneo's portrait of a Jaguar in the pits at Le Mans in 1953 — I am still looking for his white-mouse endorsement. — W.B. "Mille Miglia 1927-1957" by Giovanni Lurani. 207 pp., 85/8" x 111/8". (Edita S.A. Lausanne, Switzerland. Available at Patrick Stephens Ltd., Bar Hill, Cambridge CB3 8EL. £15.95). Originally published in Italian, with interesting stories from winners who are still alive, this English edition of Count "Johnny" Lurani's book has these stories omitted but replaced by many more photographs, including some fine colour shots, from the archives of Automobile Year. Apart from this the book is a straight translation with potted histories of all the races year by year. With over 500 starters in some years such a history can only be "potted" for each competitor could write a whole book on his own 1,000 miles of racing. What this book does do is to capture the atmosphere and change of the great Italian road race, from the beginnings which were little more than regularity runs to the last few events which were flat-out blinds. It also conjures up the difference from being a social outing to becoming an inter-factory battle. For a book of this quality the proof reading is poor; things like Novolari, Alfa Roemo, Sanasi, San Benedetto del Trento and Franco Bordini jar badly with this reviewer who loves Italian racing history. And some hoary old errors have been copied yet again. Printed on glossy paper with nice sized pictures and a splendid colour dust jacket (especially the back cover) I was disappointed to find a hole right through page 60! While no book can give you a complete story of the Mille Miglia, Lurani's book certainly forms the nucleus for further study. — D.S. J. "Automobile Year — 1981-82". Edited by Ian Norris. 270 pp. 12½" x 9½" (Patrick Stephens Ltd., Bar Hill, Cambridge, CB3 8EL. £ 19.95 ). There is nothing quite so luxurious or nicely produced as a review of the previous year's sporting activities than Edita of Lausanne's "Automobile Year'", and this remains true of the current offering, with its 386 photographs and 64 colour pages, reporting on last year's events, not only the full F1 scene but on F2, F3, the European Touring Car Championship, the Hill Climbing Championship, etc. with circuitdiagrams, lap-charts, retirement tables and all the trappings. 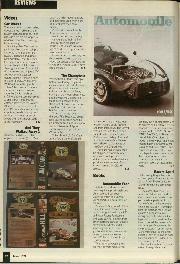 There are the expected supporting articles, including those on the World Car, the Life and Death of MG, the Anatomy of the Type 50 Bugatti, etc., even one on stunt-driving in Hollywood. If I have any regrets, it is that space is wasted over a Land Speed Record feature using oft-seen pictures and mis-stating the cause of Parry Thomas' death in "Babs", and that the MG article has some lurid paintings of these cars, one of which is captioned incorrectly as "Old Number One" in spite of the very many times has been emphasised that this 1924/5 car was NOT the first MG (although I note that no longer is its passenger, in the depicted Land's End Trial study, quoted as being G. E. T. Eyston). However, in its main purpose, the book remains superb. — W.B. "Racers — the inside story of Williams Grand Prix Engineering" by Doug Nye. 173 pp. 12" x 8". (Arthur Banker, 91, Clapham High Street, London SW4 7TA. £10. 95 ). Francis Owen Garbett Williams was born in South Shields during the early part of the Second World War and his parents split up shortly afterwards. From those unpretentious origins he has risen to the status of one of the most respected Grand Prix team owners in the business. This publication tells the story of what went on between those two landmarks in Frank Williams's 40 years. Doug Nye has done an excellent job pitching this book's appeal over the head of just the serious enthusiast to produce a tale which will appeal even to those who know nothing about Frank Williams's sport. It's a story of sheer hard work, light-hearted opportunism and devotion to a chosen task. Frank's electrically-wired personality comes across vividly within these pages, and there are some memorable human moments recounted with warmth and sympathy. One shares the desolation felt by Williams when Piers Courage, his close friend, was killed in Frank's de Tomaso at Zandvoort in 1970; one sympathises with his reasoning in not wishing to stay on as a well-heeled assistant to Walter Wolf after the Austro-Canadian oil man took over his team in 1976; and one learns to understand the feeling of mutual respect generated between team owner Williams and his serious-minded designer Patrick Head. In that connection, the funniest line of the book is when Head is being interviewed by Williams for a job with his company. Frank asks Patrick whether he's prepared to work all the hours God made. "No", replied Patrick, "because anybody who has to do that is very badly organised . . ."
Not only does this book tell the story of how Williams Grand Prix Engineering came into being, but it also describes in considerable detail the logistical and financial headaches which running such a business involves. Williams' drivers Alan Jones, Carlos Reutemann and Clay Regazzoni are all afforded a chapter apiece, their considerable contributions to the success of the team meriting reasoned and well-judged comment. There was very little about this book that I didn't like: it includes plenty of fresh material, particularly about Frank Williams's fledgling "dealing" days, and any aspiring F3 / FF team owner who thinks he's got it hard at the moment would be well advised to read about Mr. Williams's early years as an object lesson in clawing one's way to the top, despite all. A good, no-nonsense book about a good, no-nonsense bloke and his racing team. — A.H. There have been many books about model cars, and more than one devoted to Dinky miniatures and Meccano. But nothing to compare with the magnificently turned out, 312 pages, 8½" x 11" book in New Cavendish Books' Hornby Companion Series, titled "Dinky Toys & Modelled Miniatures" by Mike and Sue Richardson. It covers every conceivable Dinky model, many of car and kindred transport subjects from 1931 to 1979, in 350 full-colour illustrations, over 350 ordinary pictures, diagrams etc., and must greatly enhance the fun of owning such miniatures. It is the work of Allen and Narisa Levy, and was designed by J. B. Cooper. It should keep model-car enthusiasts busy for years. Apply to the publishers, at 11 Fetter Lane, London EC4P 4EE. 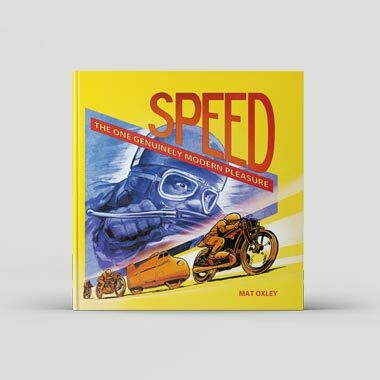 A quite splendid book about the Lotus Seven Caterham Seven, surely the personification of the sports-car theme, has come from Osprey. Called "Legend of the Lotus Seven" by Dennis Ortenburger. It packs into 170 101/4" x 71/2" pages about everything you can think of appertaining to these cheeky and very quick little cars, from the first Colin Chapman stirrings (even unto flat-head Ford power) to the development, the racing, the mods., indeed, the lot, with reprints of American road-test reports, 'weights and measures", an obfuscation about Seven chassis numbers, even a piece I wrote at the request of Caterham Cars about collecting a Mk. 4 from Wymondham and had forgotten about. Masses of fine pictures, too, including an amusing one of how to enter a Seven without putting the hood down . 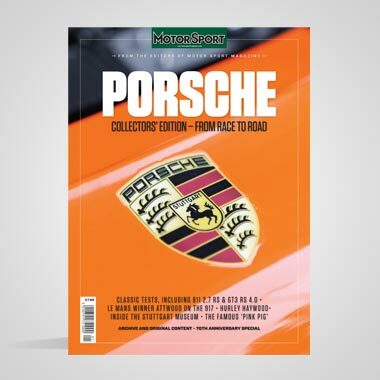 . . Good fun, for £11.95, and an excellent Easter gift to anyone fond of true sports motoring. Three more of Haynes' "Super Profiles" have been released — "Jaguar Mk.2 saloons" by Paul Skilleter, "MG-B" by Lindsay Porter, and "Ferrari 250GT0" by Chris Harvey. They sell for £3.95 each. — W.B.